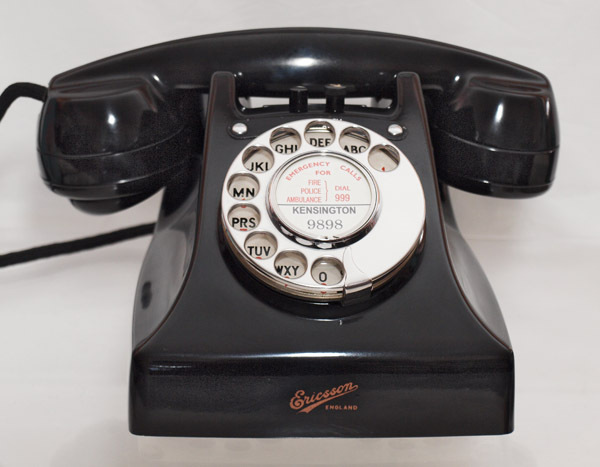 This is a fabulous telephone made by Ericsson England. 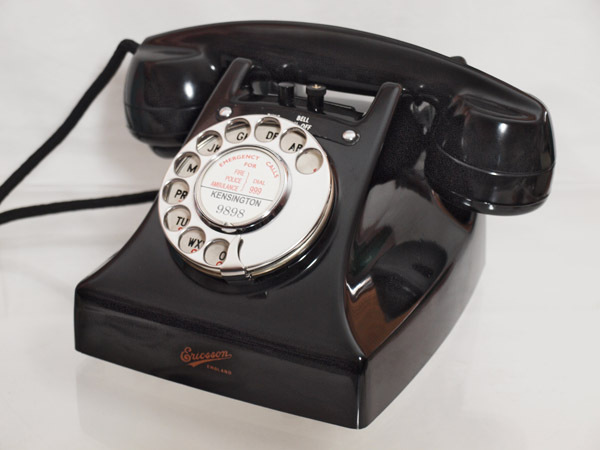 It is in wonderful condition and retains its original handset cord. This one needed little work to get it to shine like new and still has its original Ericsson England label in first class condition. This is quite a rare telephone and also has a fully functioning fell on bell off button switch. 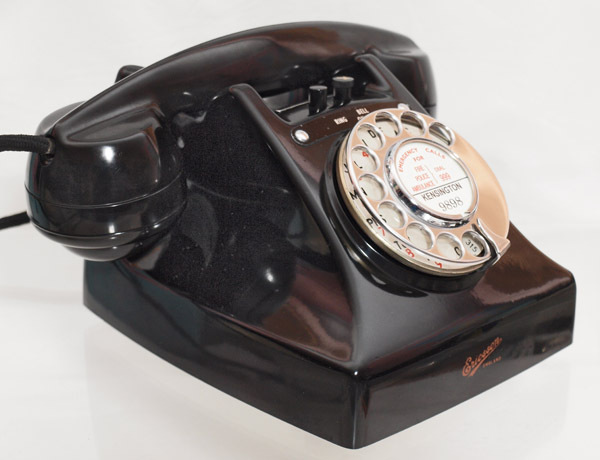 It has its original No 12 alpha numeric dial and has been fitted with an electronic microphone and a GPO specification round plastic line in cord with telephone socket. I can make a dial label with your information at no extra cost. I only have one of these and so when sold it is unlikely I will get another very soon.